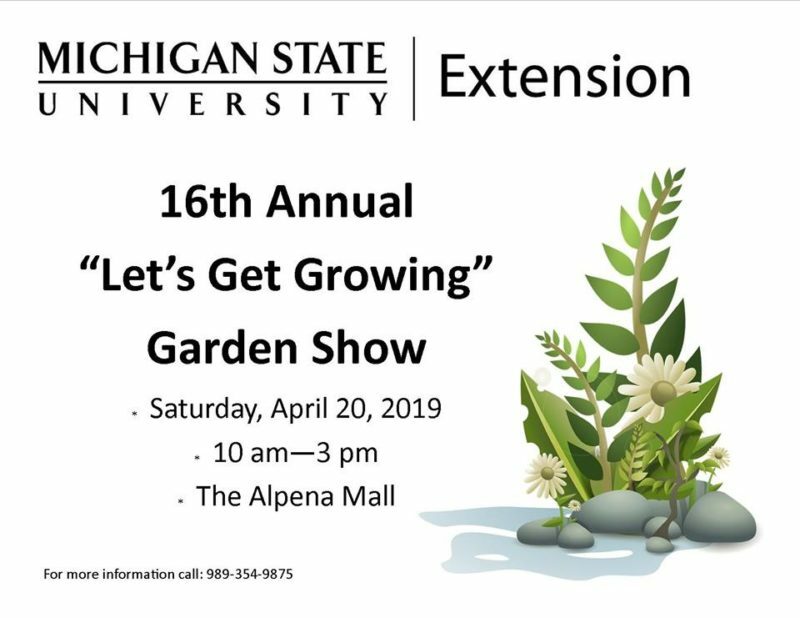 The 16th annual “Let’s Get Growing” Garden Show will be Saturday, April 20th. The event will take place at the Alpena Mall from 10:00 am to 3:00 pm. The show features something for everyone including creative exhibits; farmer’s market vendors; large and small garden equipment; landscaping and gardening tips galore. The event is FREE and open to the public. For more information, please call Alpena County MSU Extension at (989) 354-9875.